Bloggers often worry as to whether or not they are using the best blogging software. You can see the question raised endlessly in places like LinkedIn and other social networks, including Twitter. People who are new to blogging also wonder which is the best system to use. So, they may go to review sites which list the best blogging programs and services to find out more. You’ll also find that midway through their blogging career, people change blogging software in order to move to something “better”. Much of the discussion about the best blogging software centres around “Search Engine Optimisation” (SEO). What is the best blogging service to get you high search engine ranking, people ask. And they get answers…! You’ll find plenty of people saying that WordPress is best because it has so many useful SEO plugins. Others will tell you that Blogger is bound to be the best for SEO as it is owned by Google and so they must “favour” it. And then there will be the fans of Movable Type who’ll say that because it is commercial software it has solid development behind it. You’ll find all sorts of arguments from so-called “experts” who can explain in great detail why WordPress is better than Blogger, or why TypePad is superior to Joomla. You can even find plausible arguments for saying why you should ignore all kinds of blogging services and have bespoke software developed specifically for your needs. And all of these arguments are wrong; plain wrong. Every blogging service that is available enables you to write and publish blog posts. Each of the myriad of blogging programs allow you to control how your material will appear. And all of the blogging software you can find lets you arrange how the search engines will find your posts and use them. In other words, every blogging program does the job you want done. You can forget the SEO arguments about blogging services and programs. Google and other search engines make no distinction between them. All search engines are interested in is your content. If you are producing good, relevant content, then it makes no difference as to which blogging program you use. But what does make a difference is how often you blog. Search engines do take that into account. Frequency of publishing helps increase your ranking and also raises the amount of traffic you get. 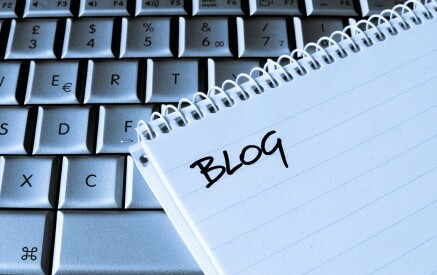 One of the most important aspects of having a successful blog is simply doing it…! And therein lies the real problem in choosing blogging software. If you settle on a blogging program which is “great for SEO”, but you find cumbersome and difficult, your motivation to write will decrease. The result will be that you blog less – not more. Similarly, if someone argues successfully that you should use a specific blogging service because of it’s ability to be adapted to your circumstances, the additional functionality will be worthless if you don’t use the service because you don’t get on with it. The best blogging software to choose is the one that you like and get on with – no matter what the blogging experts may tell you. If you like your blogging program and find it easy, you’ll use it more often. And that will bring around the benefits you are truly looking for in terms of search engine ranking and readership. So don’t listen to the experts. Simply try out a handful of blogging services and blog programs and find the one you like the best. The one that “fits you” is the one to use. Yes, blogging does give you freedom. And yes, WordPress is excellent – this website is produced via WordPress. However, my point is that some people do not get on with WordPress, so they need to find software which works for them.